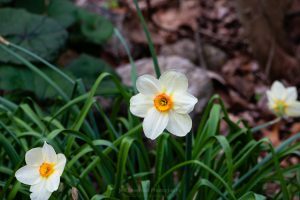 A white daffodil captured on a May morning during local photography club outing to Stonecrop Gardens in Cold Spring, NY. 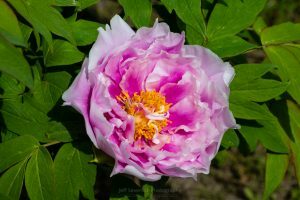 A shot of a pink tree peony, which is a perennial, in full bloom on a May afternoon in Ulster Park, NY. 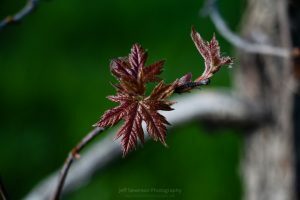 A few newly blossomed leaves on a tree that I discovered during a organized photo walk at the Nyquist-Harcourt Wildlife Sanctuary in New Paltz. 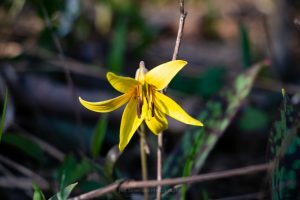 A trout lily, known also as erythronium americanum and a colony forming perennial, in bloom at the Nyquist-Harcourt Wildlife Sanctuary in New Paltz on a Spring evening. 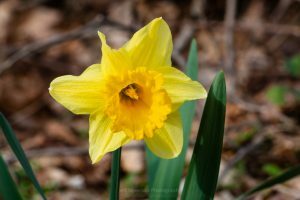 A wild daffodil plant in full bloom in my yard. If you look closely, you can see a spider has made its nest inside. 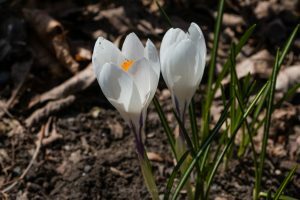 A sure sign that Spring has finally arrived: a white crocus in full bloom at the edge of my driveway. 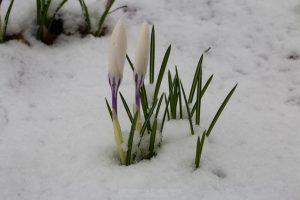 A photo that I captured of a white crocus covered with snow after a Spring snow storm in Ulster Park, NY. 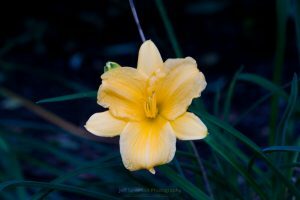 This photo is of a Stella de Oro Daylily that I captured in late afternoon in early September. 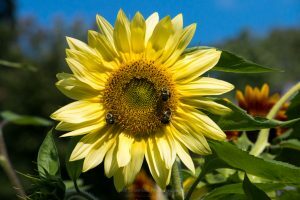 While Summer may be winding down, the sunflowers are still blooming. 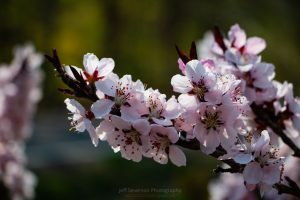 I captured this shot of a Lemon Queen sunflower in full bloom in my garden.